Pravda Lounge - Ellev - The Best Full-Service, Award-Winning Ad Agency in the Carolinas! More isn’t always more. Sometimes less is actually more. 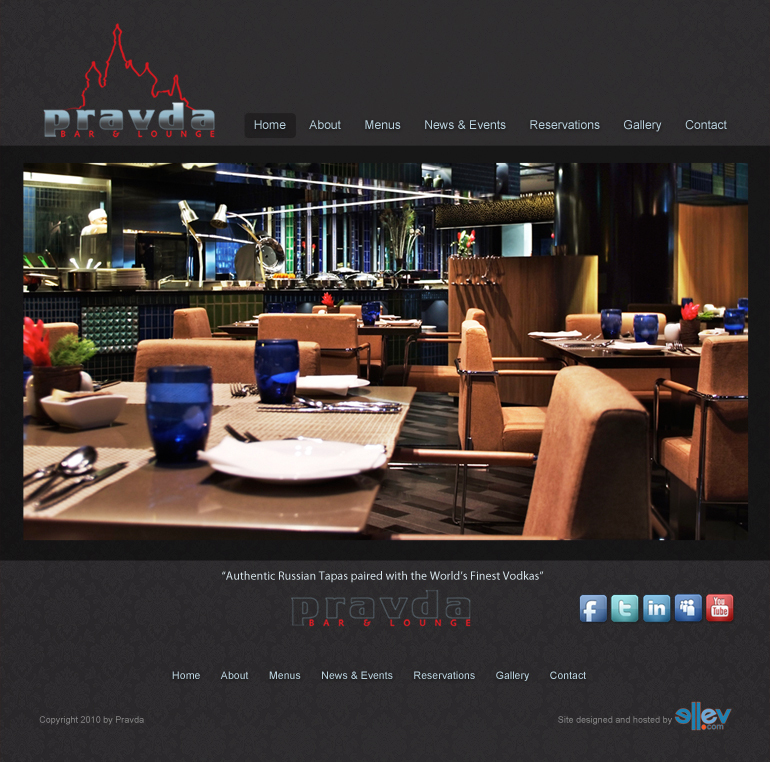 That is the approach we took with this Pravda Lounge website design. We take sleek, minimalist website design and use it to feature extraordinary photography to convey a truly powerful visual message. This combined with a fully functional online reservation system, interactive menus, beautiful restaurant and patron images shot by one of our very talented photographers, with up to the minute events and news updates, and what do you get?? The ultimate website for the place you want to be!